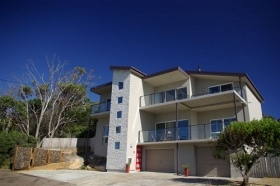 Avalon Coastal Retreat is a contemporary three-bedroom accommodation overlooking Great Oyster Bay. 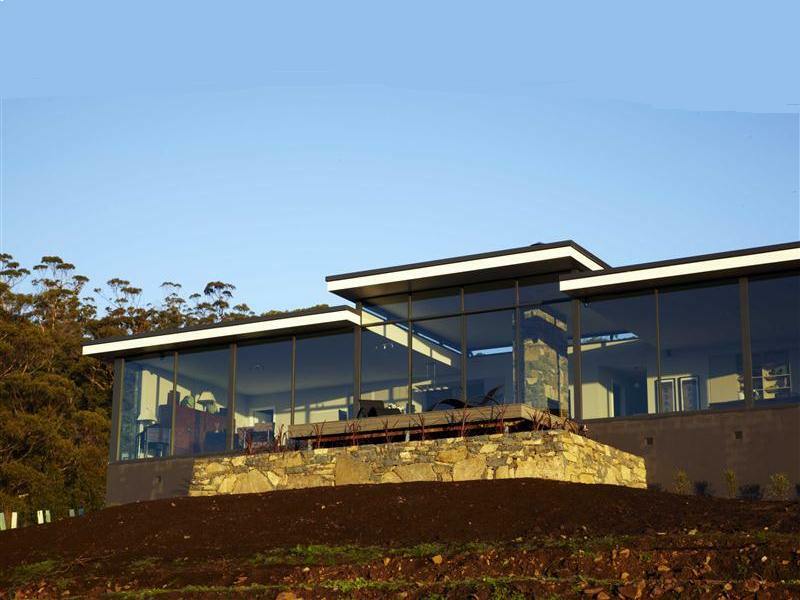 The house, designed by award-winning Australian architect Craig Rosevears, is a stylish blend of steel, glass and timber. 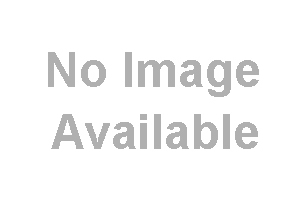 It has three queen-size bedrooms for a maximum of six people. 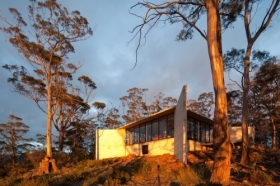 Avalon Coastal Retreat features the work of some of Tasmania’s top furniture designer/makers and artists, and its location will take your breath away. The outlook is the vast emptiness of the Tasman Sea with the Freycinet Peninsula on the horizon. Just below the house is a secluded beach where you can walk, fish, collect shells, swim in the clear crisp waters or hide away with a book. Look out for the white bellied sea eagle that passes every morning. Body boards and wetsuits are available for use. 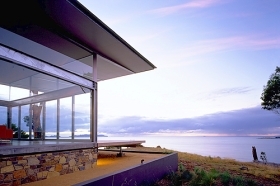 You can choose to bring your own supplies for the length of your stay, ask for the gourmet food basket or head to Swansea, Bicheno or Freycinet to sample the local restaurants. 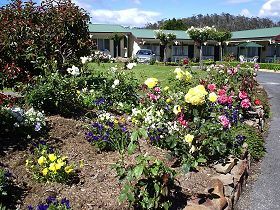 Avalon Coastal Retreat is around a two-hour drive north of Hobart and around the same drive time south-east of Launceston. 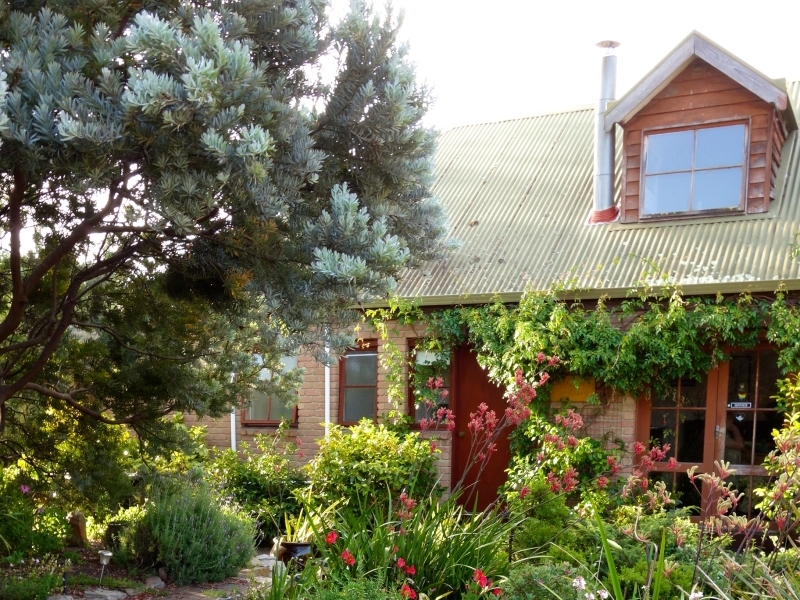 Nearby is Freycinet National Park, vineyards, oyster farms to visit or the best strawberries at Kate’s Berry Farm.